When 32-year-old John Lingwood uprooted his family in Detroit to move into his mother-in-law?s two-bedroom apartment in Kitchener in 1955, few would have guessed he would emerge as one of Waterloo Region?s most influential architects. However, if you went to school, attended worship, entered a civic building or read the local newspaper between 1955 and 1996, chances are you were touched by John Lingwood?s work. 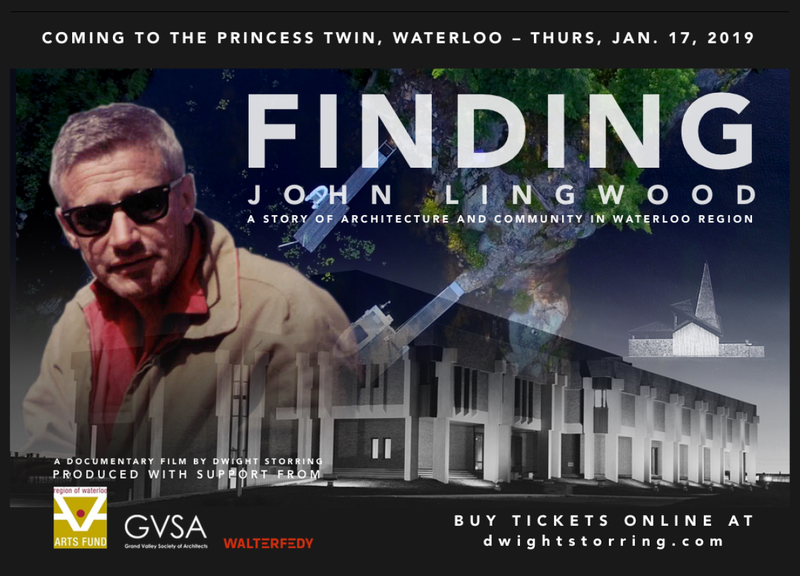 In a new documentary Finding John Lingwood, Kitchener filmmaker Dwight Storring reveals the man behind the buildings. Through interviews with family, colleagues, clients and those who have occupied his buildings, the film explores Lingwood?s influence on community life. ?This is not a chronology of his life or a survey of his work,? says Storring, ?but more of a quest to find just what inspired him and how that played out in his life and work.? Kitchener-Waterloo Record: Get a look inside the walls of the iconic Kitchener-Waterloo Record building on Fairway Road. Hear about how it came to be built and why it was demolished little more than 30 years after it opened. Manchester Road: Cameron Lingwood calls the 20 homes his dad designed for Manchester Road ?the best place in the city to raise a kid.? Watch as Cameron?s sister Lisa returns to their childhood home, relives her wedding day and along the way discovers owners who cherish and honour her father?s design.